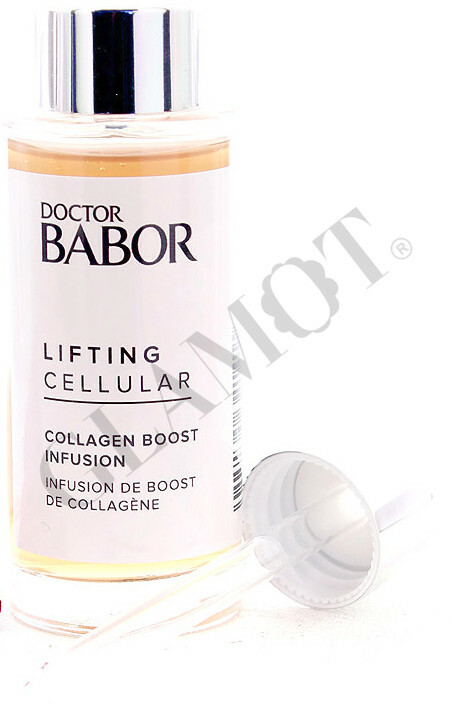 Collagen Boost Infusion is designed as a 4-week treatment to improve the strength of the skin. Smooths the wrinkles and leaves the tissue so that the skin is smoother and firmer and gives it a younger look. For best results, combine with other products in the same line. Apply in the morning and / or evening, after cleaning, on the face, neck and décolleté and gently massage into the skin.